DALLAS – May 28, 2015 – New Beginning Center, a domestic violence shelter known for offering a helping hand to women and children is now on the receiving end after a major plumbing repair totaling $15,000 impacted the Garland, Texas center. 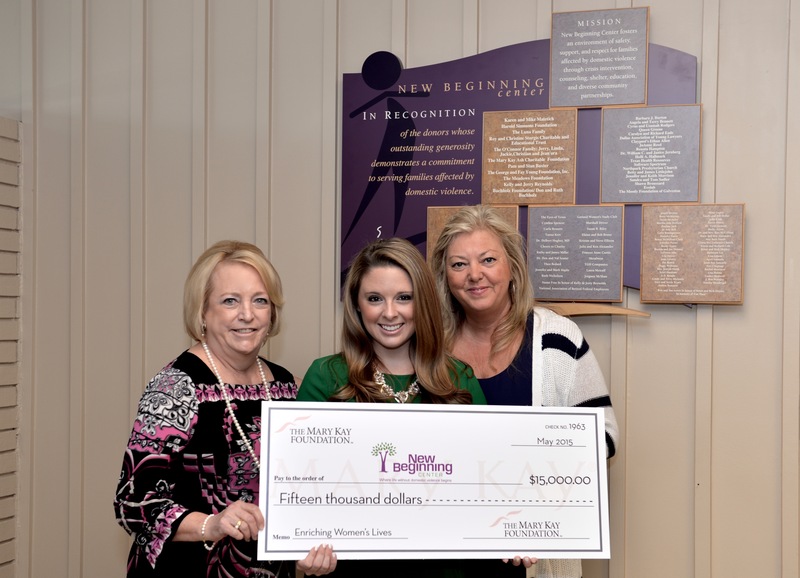 Knowing many shelters operate on a lean budget, The Mary Kay FoundationSM is providing a $15,000 emergency grant to the shelter located near the iconic beauty company’s global headquarters. New Beginning Center is a non-profit organization and one of the only domestic violence agencies in the northeast sector of Dallas County offering a full range of services for families overcoming abuse. Last year, the shelter served nearly 200 women and more than 150 children. Since 2000, the Foundation has given more than $32 million in shelter grants to nearly 1,900 shelters across the United States.